Delivering a first-rate travel experience is critical to the bottom lines of airports and airlines. However, airports around the world struggle to provide a comfortable, relaxed environment that encourages passengers to spend their time at terminal retail locations and provides an optimal work environment for airport staff. Additionally, due to their size and the 24/7 nature of air travel, airports are also massive energy consumers. Our webinar delves into industry pain points, including passenger expectations for unobstructed outdoor views, and the challenges associated with glare, including making already sparse seating areas nearly unusable. 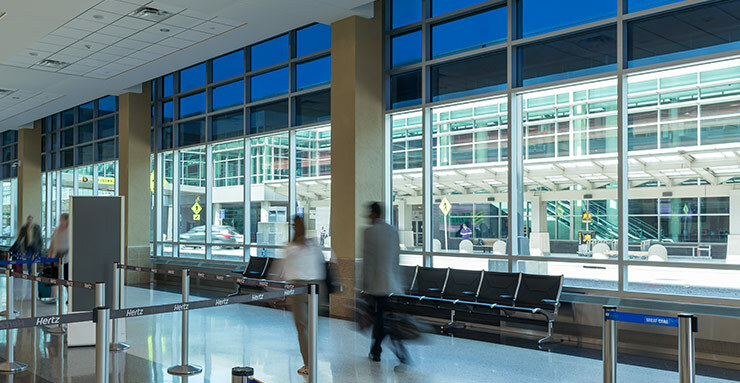 The webinar further explores how dynamic glazing can improve thermal and visual comfort, which are two key influencers of a positive airport experience for both travelers and staff.